Kumquat Mae, Athens GA (CLOSED) – Marie, Let's Eat! Kumquat Mae has one of the most curious histories of any restaurant that we’ve ever visited. It has closed and reopened several times in different towns, not from lack of business, but because Trae Stewart has always put family first, and has closed the restaurant and bakery to devote time to her children. The current location of the restaurant is at least the fourth since 1995, but it’s only been in business for maybe half of that time. Previously, the restaurant had been located in nearby Watkinsville, and we intended to stop by for a meal on an occasion last year, but we found the place closed. 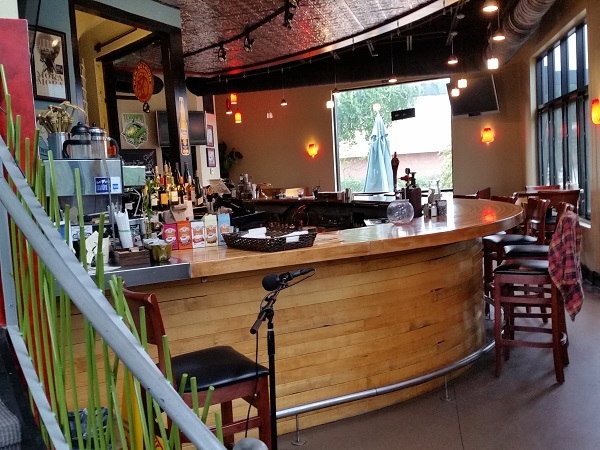 They were in the process of moving to Mitchell Bridge Road in Athens at that time, to an odd blue and green building that completely defies every preconceived notion of a restaurant looking for a traditional location or space. Driving past, you wouldn’t think a restaurant was there at all, but rather fourteen different startup PR firms in closet-like offices. Happily, Stewart and her business partner Renee Hartley have built a large fan base over the years who have followed them to this curious location, which has been open for about one year. 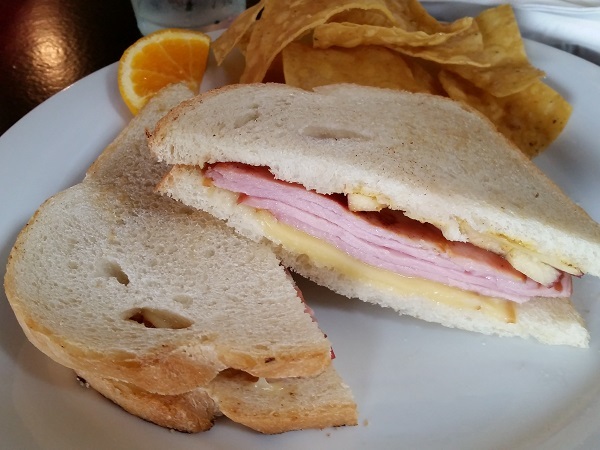 Marie agreed that a hot sandwich would be nice on such a gloomy, rainy day, and ordered a ham and gouda, which comes with sliced apples and mustard on sourdough bread. This was a great little mix of flavors and she enjoyed it. 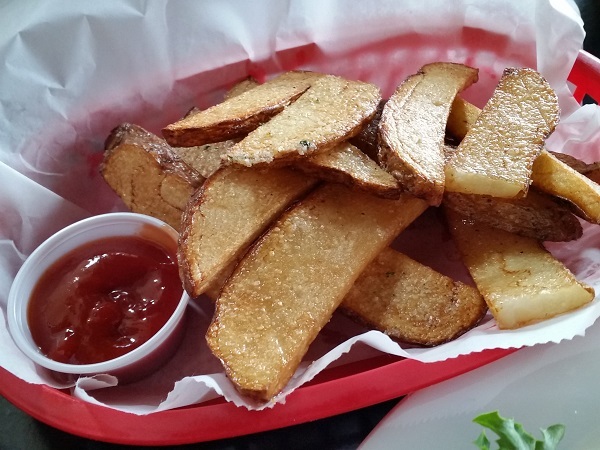 The sandwiches come with tortilla chips, but we decided to order a basket of steak fries and holy moly, what a surprising treat these turned out to be! Only a few places do hand-cut steak fries, but if they can be as good as these, everybody should. 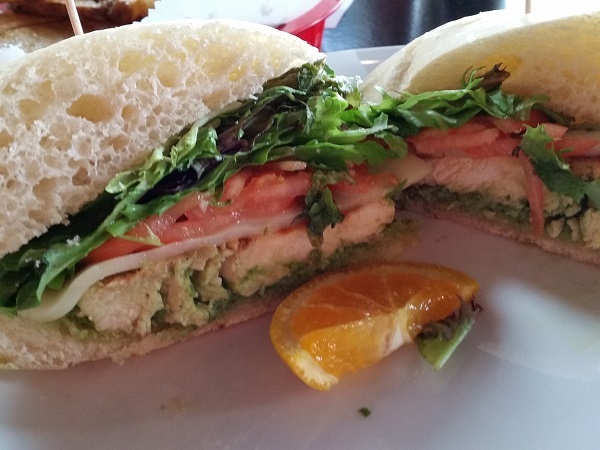 I had a grilled chicken sandwich with pesto – quite a lot of pesto, actually – and Provolone cheese, with a side of pasta salad. It was very tasty, and, as a last-minute replacement for something I had been looking forward to, it really satisfied me. I’m glad that we took a minute to find something new-to-us instead of just relying on an old Athens standard like the T-Stand or the Grill. As great as those are, we were really in the mood to have something we hadn’t had before. The service was very good, and we left before the quiet reggae music drove me too crazy. Marie drove home, and we were back before the sun went down. Posted on November 13, 2015 August 24, 2017 by Grant G.Posted in athens, georgia, sandwichesTagged athens, georgia, sandwiches, standout fries. Unfortunately, Kumquat Mae closed in April 2016.